Only pay shipping & applicable taxes at checkout. 150$ per year/per vehicle after first year. $50.00 1 time equipment fee. Automate your IFTA fuel tax reporting. TruxTrax calculates the mileage your vehicles cover and the fuel purchased in each state and province. Every Fuel purchase and expense can easily upload fuel and expenses receipts via the app to be stored and organised safely on your dashboard. 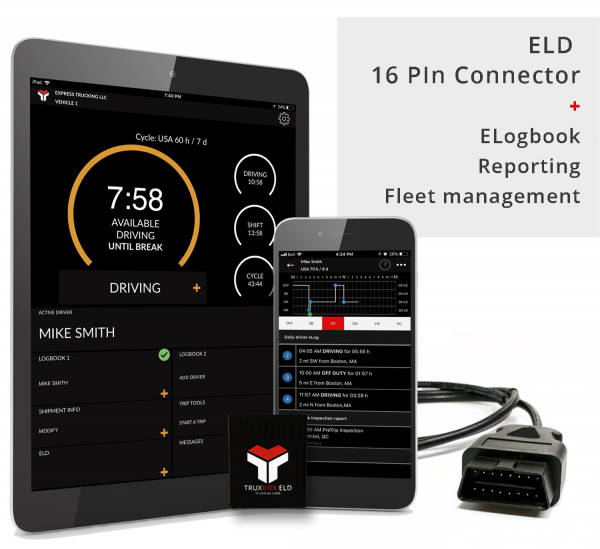 Automatically calculate every mile travelled by state and provincial and registers each border crossing giving you audit ready reports right to your dashboard. Make informed and immediate operational decisions with GPS Location Tracking for all of your drivers and vehicles in real-time. 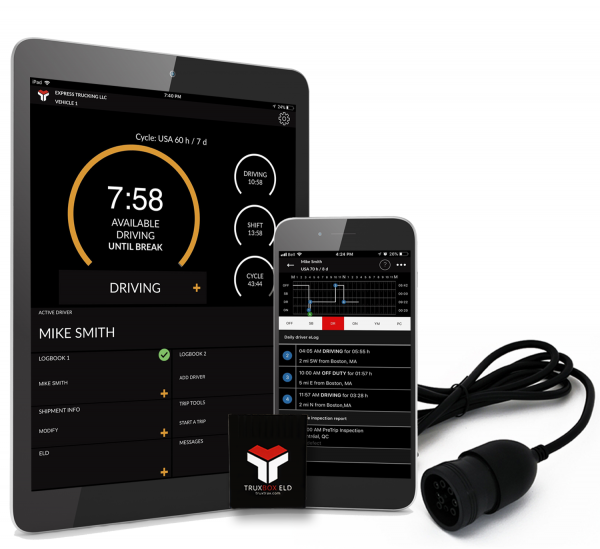 Connect with one or all of your drivers on the road in real-time. Send and receive attachments such as pictures and files, and communicate about loads and route updates. Use Geo-fencing, dates and times to setup alerts or reminders for you and your drivers when entering a new state or client site, or schedule delivery & pick-up times. To be used on mobile device (smartphone or tablet) which is BLE capable and has a Data plan. This is an OBD2 connector used for light & medium Duty class commercial vehicles. Be sure to verify your vehicles class and Engine diagnostic requirements before ordering. All Product prices, Subscriptions and Shipping fees are listed in USD. By completing your order and proceeding to payment you agree to the full TERMS OF SERVICE AND END USER LICENSE AGREEMENT before proceeding.